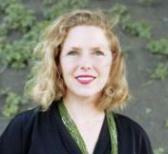 Kimberly Parker is the HINARI Programme Manager at the World Health Organization (WHO), where she coordinates the HINARI Access to Research in Health Programme. She has an undergraduate degree in Biology/Chemistry and a Master of Information and Library Studies degree from the University of Michigan. She spent a year as a National Library of Medicine Associate before going to Yale as the Chemistry & Geology Librarian and Science Bibliographer at the Sterling Chemistry and Kline Science Libraries of Yale University. In 1997, Parker took the newly established position at Yale of Electronic Publishing & Collections Librarian that later grew into a department head position. She was a member of the Digital Library Federations ERMI Steering Group from 2002-04 when the Electronic Resources Management Initiative was mapping the electronic resource management space. 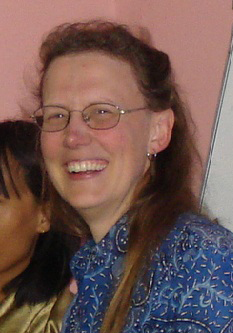 Parker became involved with HINARI in 2001 as Yale University Library began supporting the program as a partner, and 2008, joined the World Health Organization to take over as the HINARI Programme Manager. At WHO, she has been working on issues of ensuring appropriate skills to support electronic resource management in developing countries, examining the role of intermediaries in federated authentication systems, and observing the effect of different kinds of communication in enhancing information literacy in low- and middle-income countries. She is based in Geneva. Ylann Schemm (@ylannschemm) manages Elsevier’s corporate responsibility program, which focuses on advancing women in science and developing research access in the developing world. She also oversees the Elsevier Foundation’s New Scholars program which supports projects to expand the participation of women in STEM and the Innovative Libraries in Developing Countries program with capacity-building projects in science, technology and medicine. She is the communications team chair for Research4Life, a unique UN-pan publisher partnership to provide free or low cost access to researchers in the developing world. She is based in Amsterdam. Ylann recently interviewed Kimberly for Elsevier Connect. How has HINARI evolved since it was first launched 12 years ago? Research4Life is a public-private partnership of over 200 academic publishers, four UN agencies, Yale and Cornell Universities and the International Association of Scientific, Technical & Medical Publishers (STM). With the support of technology partner Microsoft, the program is providing free or low-cost online access to nearly 30,000 peer-reviewed journals, books and databases to over 6,000 institutions in more than 100 developing countries and territories. Research4Life comprises four programs: HINARI for health, AGORA for agriculture, OARE for environment and ARDI for innovation. The oldest and largest, HINARI, uses the resources of the World Health Organization (WHO), Yale University Library and over 150 medical publishers to provide developing world institutions access to some of the world’s most important published medical research. The HINARI online library now makes available over 17,000 scientific publications to over 5,000 organizations, including universities, medical schools and teaching hospitals, research institutions and government offices. And finally: Was internet access in these countries robust enough to support access to online journal articles and book chapters? This last question is particularly interesting because many of the countries and institutions served by HINARI still struggle with this network access and bandwidth question. HINARI materials regularly overwhelm the network capacity in our institutions, and some institutions remain technologically unable to access the content. Despite this challenge, many institutions have sought and found creative solutions to their bandwidth dilemma, and many more institutions every day are operating in a workable network environment. I am pleased to note how this issue has and continues to evolve in a positive direction. What is your role in Research4Life? Officially I am the Programme Manager for the HINARI programme, which has its “home base” in the World Health Organization in Geneva, Switzerland. 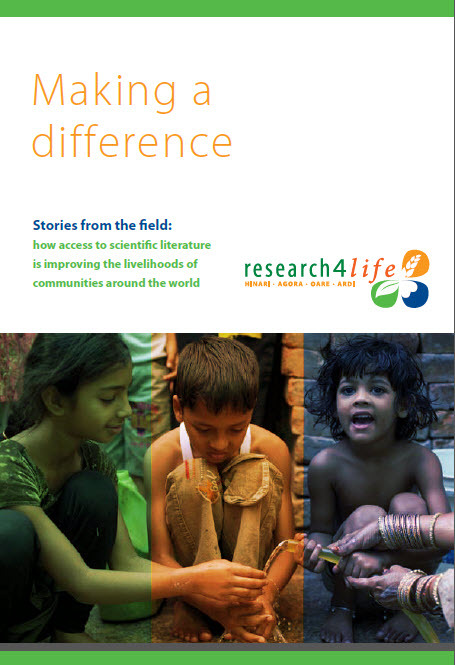 HINARI is one of four Research4Life programmes, and there are also UN leads for each of the other three programmes. Unofficially, I am something of an institutional memory for Research4Life, as I became involved in the programmes in 2002 when I worked for Yale University Library, the first partner of HINARI outside of the publisher community. So I suppose I have a certain form of seniority within the group. Having said that, Research4Life is a very organic partnership, and we work almost entirely by consensus and drawing on the skills and knowledge sets of those who enthusiastically volunteer their time or ideas. So, I may be a “centre of gravity” for the partnership, but there are many others who can be described that way as well, and we all work together towards a common goal. With its focus on global health, does HINARI play a rallying or leadership role among the four programs? HINARI may play a leadership role, but isn’t because of our focus on global health. It is simply the natural result of having been in existence longer than AGORA (2003), OARE (2006) and ARDI (2009). So the stages we have gone through in the program’s lifespan can be valuable for the others who have joined us in our journey. Having said that global health isn’t at stake in the question of leadership within Research4Life, it probably is relevant in the way HINARI has evolved as the largest of the four programs, simply because of the amount of research literature that has been published in the broad sphere of biomedicine and health. So HINARI naturally has a larger set of information resources that form the core of the programme. What concrete gains have come from this HINARI-assisted research? One can count gains in many ways. You can count numbers of concrete things (although it is extremely difficult to attribute something like numbers of journal articles authored in a country to a single cause such as HINARI.) Or you can ask individuals to tell you what difference having something like HINARI has made to them. We did that for HINARI’s 10th anniversary in 2011 with our booklet of case studies, and the resulting personal stories were inspiring, humbling, and just plain fascinating. How common is usage in clinics across Africa? The African continent is hard to pin down, particularly at the present time. Different countries in Africa are developing at vastly different rates, and even different parts of different countries are developing differently. What I said earlier about internet access and bandwidth affects things, and while parts of the continent have connected to the various network cables that are “coming onshore,” other parts are still unconnected or minimally connected to the Internet. So we see countries in Africa with strong usage, and a burgeoning culture of information use and research, and other countries that still have much potential for development and expansion. What would you say is Research4Life's forte, and what is its Achilles heel? Ironically I think the two are one and the same. Research4Life works really well because it is something of a loose federation of the interested and engaged. This means that the partners who are involved are passionately engaged, and often give of their time and knowledge well beyond what has been asked of them. It also means that coordinating, coming to consensus, and reconciling needs and desires of a set of passionate people can take time and slow things down. We are lucky that everyone involved is willing to operate with a certain degree of uncertainty and flexibility in order to ensure everything continues to work as best as possible for the benefit of the low- and middle-income researchers. Where do you see Research4Life in 10 years? HINARI, one of four Research4Life programs, uses the resources of the World Health Organization (WHO), Yale University Library and over 150 medical publishers to provide developing world institutions access to some of the world’s most important published medical research. The HINARI online library now makes available over 17,000 scientific publications to over 5,000 organizations, including universities, medical schools and teaching hospitals, research institutions and government offices. 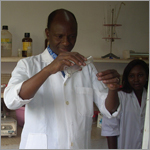 What factors are driving the increase in scientific research being conducted by African scientists?